My biggest concern this past January when Detroit Pistons owner Karen Davidson announced that she was preparing to shop around her team was not “who will own them?” but rather, “where will they be playing?” It seemed like a perfect storm was washing ashore in southeast Michigan; a crestfallen franchise (one that is merely two seasons removed from a final-four finish, as Patrick Smith pointed out) that has largely been abandoned by much of its’ local fan base juxtaposed with a toxic economy—good luck finding value there. Don’t get me wrong, as a fan I’m thrilled that Davidson and her cohorts sealed the deal with a local owner in Mike Ilitch and Ilitch Holdings, Inc. This seemingly thwarts any chances of the franchise relocating to NBA-hungry cities such as Pittsburgh or Kansas City. However, I can’t sensibly look at this deal and not have some reservations about the fact that Ilitch has monopolized the metro Detroit sports and entertainment industries overnight. A certain local columnist recently wrote in a cup-runneth-over-with-love article that under normal circumstances, a deal like this would be concerning. Let’s take a look at a few of the properties that would be Ilitch-controlled if this deal goes through as expected: the Detroit Tigers, Red Wings and Pistons, MotorCity Casino, Olympia Entertainment (Joe Louis Arena, Comerica Park, the Fox Theatre, Cobo Arena, the Masonic Temple Theatre and the City Theatre), and the Palace Sports & Entertainment empire (the Palace of Auburn Hills, DTE Energy Music Theater and Meadowbrook Music Festival). We’ve witnessed firsthand many of the difficulties that Ilitch has faced as the owner of both the Tigers and Red Wings over the past 18 years. Think about it- the Tigers have had but three winning seasons from 1994-2010 and have made the playoffs one time since their 1987 AL East crown. I’ve read that Ilitch is regarded as being an owner who is adept at not only opening up the purse strings (although I beg to differ, again, see: “Detroit Tigers payroll 1993-2004”), but also at allowing the front offices of the respective teams handle much of the heavy lifting. 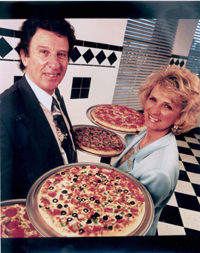 I don’t doubt that the Little Caesars magnate has been a champion in revitalizing downtown Detroit. Don’t get it twisted though; in no way is this transaction spurred solely by goodwill. Fellow mogul Jay-Z once said, “I’m not a businessman, I’m a business, man,” and I do believe that Ilitch will use his clout in the public and his wallet to hold the city of Detroit hostage to fund a new arena. It has been rumored that Ilitch Holdings has been scooping up parcels of land around the Masonic Temple near the Cass Corridor, presumably in preparation of constructing a new arena. 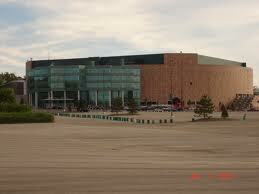 Reports have also said that Ilitch will likely ask the city to fund $100-$200 million of the new arena. The fan in me is ecstatic, but common sense has to come into play at some point; can a city with as much debt and as many problems as Detroit has truly afford to fund a new arena when the region already has a state-of-the-art, fully functioning one a couple dozen miles north off of I-75? As recent as last fall, it surfaced that the Ilitch and Davidson camps had broken through a years-long Cold War and engaged in preliminary talks that would see the Red Wings move to the Palace for an indefinite amount of time while plans would be put into the works for a new joint arena. Olympia’s roster is pockmarked with aging or decaying facilities, while PS&E’s stable of venues are desirable and among the most-attended in the country. After taking over his biggest competitor, Ilitch can now tailor the metro Detroit entertainment landscape to his liking. It’s clear that now more than ever, it’s economically unfeasible to for a metropolitan area to maintain separate pro basketball and hockey arenas (Detroit and Phoenix are currently the only two with this model). Businesses and communities will be hurt whether Ilitch chooses to push the Red Wings northward, or if the Pistons are plucked from Auburn Hills. What people need to realize is that the decision Ilitch makes will be the ones that makes the most dollars and sense. 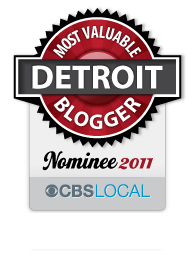 This entry was posted in Detroit, Pistons, Red Wings, Sports, Things To Do, Tigers and tagged detroit, detroit pistons, detroit red wings, ilitch holdings, karen davidson, mike ilitch, new detroit arena, olympia entertainment, palace sports & entertainment, pistons sale, the palace of auburn hills. Bookmark the permalink.